Whoa, and hello! Here's a voice that comes along once in a generation, and only on a blue moon. Out of Toronto, Martin could be doing big rock songs, over-singing and being called the new Janis Joplin, and thankfully, she is not. Instead, she's been building a roots/blues/gospel sound and team with Delta Sugar. They sound like a million bucks, but are only a small group. In addition to Martin's leads and acoustic guitar, there are the harmonies of Sherie Marshall and Stacie Tabb, electric guitar from MIkey McCallum, and organ from Jimmy Hill. Any percussion is stomps and claps from the group, and that is it, but it packs more punch than a stage full of amps and guitar heroes. If there's a time and vibe as inspiration, I'd say it's the rural gospel/soul of The Staple Singers. All those elements are there, from the echoes of field hollers to the country streak that goes through all southern soul. The organ sanctifies when it comes in, the electric guitar makes it modern (well, latter 20th century), and the harmonies intensify. There's call-and-response, hurt and suffering. And while the focus will be on Martin as the front woman, this really is a team effort and powerful blend. Even the all-original material is seamless, never dropping the ball on the right lyric, tone and emotion. This is a group that just gets it, gets it all. Bob's right on this one. 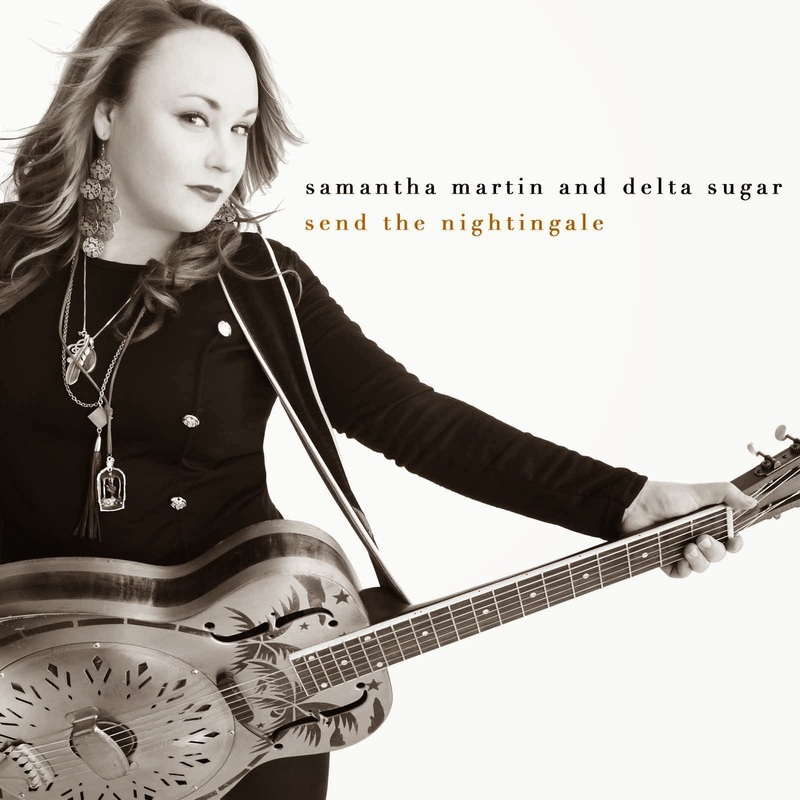 This is a terrific CD, and Sam and the folk in the band are smashing people into the bargain. A veteran Canadian broadcaster, Bob Mersereau specializes in popular music writing. He's been with CBC TV and Radio since 1982, and regularly reports on the arts. Bob is the author of the Top 100 Canadian Albums, a national best-seller published in 2007, and The Top 100 Canadian Singles, published in September 2010, both from Goose Lane Editions. His music column appears each week on CBC Radio 1 in New Brunswick, on the program Shift, and he has written music articles and reviews for such publications as The Coast Magazine, The Telegraph Journal, and The Globe and Mail. He's also the recipient of the 2014 Stompin' Tom Award from the East Coast Music Association.